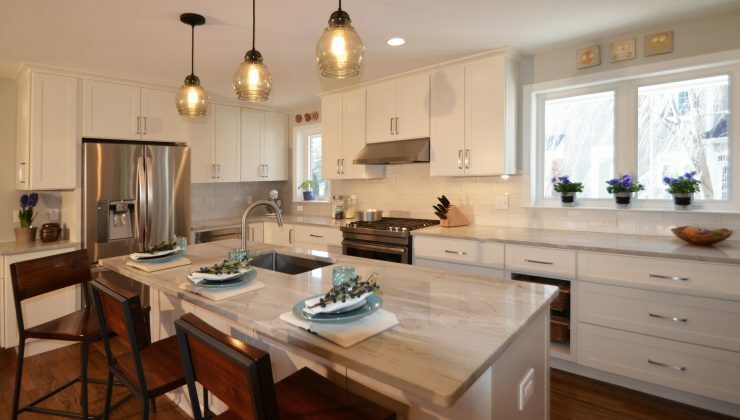 Whether you’re moving into a new home or office, or are simply remodeling, there are some great new ideas to implement into your new kitchen. Sam Pollard and Son has compiled a list of five simple, but really useful, tasteful, or cool updates. This is a great option for people who don’t like clutter. This outlet pops up from the counter when you need it, with several plug-ins, and disappears when you don’t need it anymore. These outlets are best for kitchens that have cabinets under the counter, so that when the outlet isn’t in use, it’s hidden below. Hate unsightly cords and plugs? Then you need this invisible outlet. It’s recessed about a half inch to an inch into the wall, so your plugs don’t stick out, preventing you from using that back inch of space by the wall. 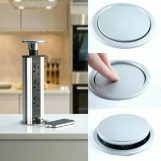 The invisible outlet allows you to use all of your counter space by pushing your appliances (even the ones that need to be plugged in) all the way up against the wall. The ground-fault circuit interrupter, or GFCI, is a safety upgrade you might want to make to your kitchen. Its main purpose is to protect people from electrical shock. This type of outlet monitors the flow of electricity, and if it senses a mishap it trips the circuit, cutting off electricity. Homes that have small children around should definitely have these in the kitchen and bathrooms. Just because the chandelier connection in your kitchen is located in one spot doesn’t mean you have to put your kitchen table there. Light fixtures can be easily moved to wherever you want your kitchen table to be. And if you don’t have the type of lighting you want over your sink or kitchen island, that’s another easy fix for an electrician. Not all switches are created equal. 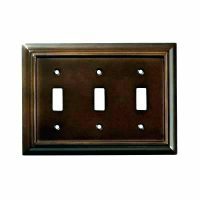 Many people don’t know this, but you actually have a lot of options when it comes to the color and material of your light switches and plates. Plastic plates in black and white are the usual default, but they can actually come in almost any color, and several types of material. If you have a tile backsplash in the kitchen, you might want more elegant looking light switch plates, like stainless steel or even stone. « National HVAC Tech Day!